Eleven-year-old, Lizzie is minding the family antique store while her grandpa naps on a spindly sofa. When Mrs. Larchmont and her poodle, Giselle, enter and begin their buying spree, they refuse to leave without bargaining for the one antique not for sale…Grandpa! Lizzie is quite old enough to watch the family store, but can she handle rich Mrs. Larchmont with her pink suit, rhinestone glasses, towering hair and matching poodle? As Mrs. Larchmont bids higher and higher amounts to purchase Grandpa, Lizzie cannot help imagining the wonderful things she could buy with all that money. Will Lizzie agree to sell Grandpa or are there some things that money just can’t buy? This book is called Grandpa for Sale. Does that shock you? …When I first read this… I thought: “What? !” And I wasn’t quite sure this was the best way to teach this lesson. Then I decided it was adorable…. fabulous, just fabulous. …stresses the importance of family and friendship over material possessions. At Oldman’s Antiques, young Lizzie is dusting the wares when Mrs. Bradley Larchmont III, with her poodle Giselle, attempts to buy Lizzie’s snoozing grandpa. Rejecting increasingly tempting offers, Lizzie finally rings up “No Sale” to end the book. …fleshed out with exaggerated mixed-media illustrations that make effective use of both jewel-toned color and black and white. The message of the story is simply stated. At each step Lizzie imagines wondrous things, but feels that her acquisition would be no fun without Grandpa. Along with Lizzie the readers learn that just a thing is no fun by itself. You need someone to enjoy it with and “Not everyone has a price.” The illustrations enhance the story in all their colorful glory. But, follow carefully and you will see that only the elements talked about on the page are in color. The rest is black-and-white. The thing that Lizzie thinks she can buy are in glorious color, but her imagining of Grandpa is black-and-white. The parallels continue. Giselle’s expressions mirror Mrs. Larchmont’s. The icing on the cake is the letter from Smotheby’s on the back outside cover! And has Grandpa been awake all the while? As the holidays approach with their associated retail frenzy, Maine Antique Digest suggests a few titles for those on your list who are too young for Limoges or Lalique. The right book is always a safe gift. The following list offers ideas with an antiques or historical connection for the eight-and-under set…. Grandpa for Sale: Young Lizze tends the family antiques shop while her grandfather takes a nap (on a Louis XVI settee). When a customer makes a series of increasing offers to purchase Grandpa, Lizzie dreams of what she could do with the money. Then she realizes that none of her plans would bring happiness without Grandpa at her side. Lizzie is minding the antique store while Grandpa naps on the settee when Mrs. Bradley Larchmont the Third strides in. Lizzie is happy to help the frou-frou fraulein with her purchases of bric-a-brac until Mrs. Larchmont asks about buying Grandpa! Her generous offer gives Lizzie pause. Oh, the things she could buy with such a sum. The Story Continues: When Mrs. Larchmont offers $500 for Grandpa, first inquiring whether he comes with teeth, Lizzie is in a momentary quandary. With that much money, she could build the treehouse of her dreams. “But what good would a treehouse be without Grandpa there to help her build it?” As Mrs. Larchmont ups her offers, Lizzie thinks of the other things she could acquire, and imagines how empty they would be without her Grandpa. Artistic Interpretations: Unique illustrations by T. Kyle Gentry help the story take flight. In the illustrations of the antique shop, only the people and highlighted objects are in color. On alternating pages, which depict Lizzie’s fantasies about what she could buy with the money, the fantasy is in full color and Grandpa’s part in the scene is shown in shades of gray. My grandchildren had some interesting ideas about why the artist used color the way he did. Be sure to ask your grandchildren! The grands will especially enjoy the fantasy sequences, which are rich in detail and whimsical touches. Don’t neglect to check the back cover for one last bit of whimsy. About the Authors: Dotti Enderle has a number of children’s books to her credit. This is the first book for her co-author, Vicki Sansum. Both writers live in Texas. Perhaps that explains Mrs. Larchmont’s sky-high coif and over-the-top style. If you or your grandchildren live in Texas, you also may enjoy Enderle’s The Fat Stock Stampede at the Houston Livestock Show and Rodeo and The Cotton Candy Catastrophe at the Texas State Fair. The Bottom Line: If your grandchildren have a grandfather who is precious to them, they will be especially open to the charms of Grandpa for Sale, but almost any kid would enjoy the premise. There aren’t many children’s books with grandparent characters on the market, and few of the ones that are out there feature grandfathers, so this one is extra welcome. The book is another offering from the folks at Flashlight Press, who have made a mini-specialty of children’s books with grandparent appeal. Their offerings include Silly Frilly Grandma Tillie, Grandfather’s Wrinkles, Wishes for One More Day and Getting to Know Ruben Plotnick. Grandpa for Sale is a Storytelling World Award winner and has claimed a number of other awards, as well as being included on a number of recommended reading lists. As for my panel of critics–my grandchildren–they loved it. How much is a grandfather worth? …could elicit much discussion from readers. Recommended. One thing in the world that can never be bought is love! It’s more complex than you think! Dotti Enderle and Vicki Sansum have done a great job writing a fun and imaginative story. The illustrations by T. Kyle Gentry are bright and blend seamlessly with the story. This is definitely a must have for those rainy spring days. Authors Dotti Enderle and Vicki Sansum settle on a basic concept — love is something that money can’t buy. Here’s a new picture book destined to become a favorite of children of all ages everywhere! …a heart-warming tale of love and child-like wonder. I highly recommend it! illustrations by T. Kyle Gentry add to the repeat pleasures of the book as each viewing allows readers to discover something new. This clever book shows young readers that there are some things in life that are priceless. The exuberant color illustrations perfectly complement this extravagant tale with a heartwarming moral. This picture book, written by Dotti Enderle and Vicki Sansum, is a sweet tale of one girl’s love for her grandpa.The vivid illustrations by T. Kyle Gentry are bright, detailed, and lend themselves to the imagination of the story. Grandpa for Sale would make a wonderful addition to any child’s home library. 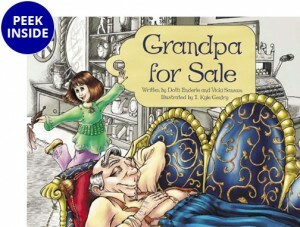 Dotti Enderle is co-author with Vicki Sansum of Grandpa for Sale, illustrated by Kyle Gentry. Dotti is the author of many books for children and educators, including the children’s mystery series, Fortune Tellers Club, and the educational series, Storytime Discoveries. 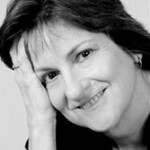 Dotti began her publishing career in 1995, writing for popular children’s magazines. Her work has been included in Babybug, Ladybug, Children’s Playmate, Nature Friend, Turtle and many more. She also writes YA books under the pseudonym Dax Varley. 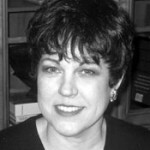 As a professional storyteller, Dotti has entertained at numerous schools, libraries, museums and festivals since 1993. She takes pride in her vast collection of original stories and folktales, and specializes in “participation” stories, allowing the audience to join in the fun. A native Texan, Dotti lived throughout Texas as a small child, but Houston has been her home since the age of eight. She lives with her husband, two daughters, and a lazy cat named Oliver. Read more about Dotti on her personal website. Vicki Sansum is co-author with Dotti Enderle of Grandpa for Sale, illustrated by Kyle Gentry. She works in advertising and has always loved to write. Most of Vicki’s story ideas develop when she tells her scientist husband something and he responds, “Don’t be absurd, that would never happen.” At that point, she feels she must elaborate on those ridiculous ideas and write them down just to drive him crazy. Vicki lives in Houston, Texas with her husband and three intelligent cats, and this is her first picture book. Read more about Vicki on her personal website. Kyle Gentry is the illustrator of Grandpa for Sale, written by Dotti Enderle and Vicki Sansum. Kyle graduated from the Ringling College of Art and Design in 1997 with a BFA majoring in illustration, and began illustrating professionally soon after. 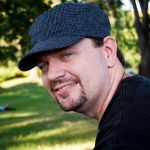 His primary focus is character design for the animation, video game, and print industries, with some concept art creation thrown in for fun. Kyle feels that art gives him an outlet for all the insane characters running around his head. In his spare time, he frequents Disney theme parks in Orlando to watch the tourists. In 2015, he published a sketchbook of colorful characters inspired by theme park enthusiasts, entitled “TOURIST! Year 1.” He is a premier member of the Creative Talent Network, a group of devoted animators, character designers, storyboard artists, and cg modelers which promotes the art and craft of animation and published storytelling. Kyle lives in Orlando, Florida with his wonderful wife, Katie and their beagle, Watson. You can see more of his work on his personal website. Error: Error validating access token: Session has expired on Sunday, 23-Sep-18 01:36:16 PDT. The current time is Friday, 26-Apr-19 01:02:46 PDT.